The defining monument on Prague’s picturesque skyline, Prague Castle today is the seat of the president and an important historical and cultural testament to the country. There are four ways to approach the castle. By far the best way is to take tram N°22 to the Pohořelec stop, where you start with breathtaking views of Prague from Strahov Monastery; then walk down through the beautiful Hradčanská district along Loretánská towards the main castle entrance on Hradčanské náměstí. 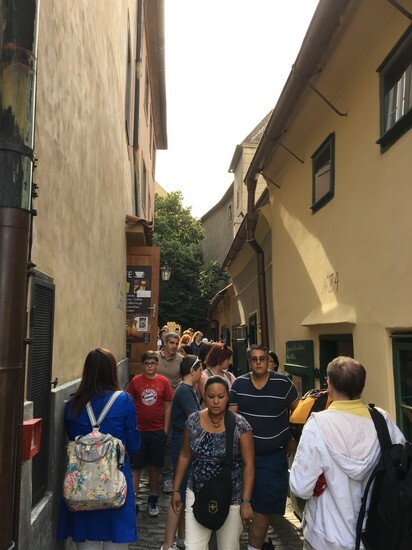 You can skip the Hradčanská walk by getting off the tram earlier, at the Pražský hrad stop, from where you enter the second courtyard. 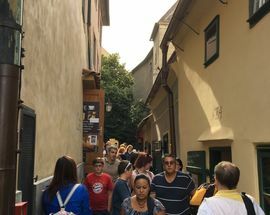 Alternatively, walk up Nerudova and the steep hill from Malostranské náměstí. The worst approach is up the Staré zámecké schody steps near Malostranská metro station; these are best kept for the way down. Its current status dates way back and the complex in some form has experienced nearly all events of importance throughout the centuries. Research dates the founding to around the year 880 by Prince Bořivoj. This medieval structure was more of a fort with a moat and clay and stone ramparts. The Church of Virgin Mary was the first house of worship here with churches dedicated to St. George and St. Vitus coming along in the first half of the 10th century. 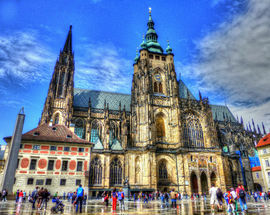 Already in the 10th century, Prague Castle was the representative governing site. Here you had the seat of the head of state, princes and later kings as well as the Prague bishop. The first convent in Bohemia was also founded on the grounds of Prague Castle, built for an order of Benedictine nuns next to St. George’s. The towering St. Vitus is really what you are viewing when you gaze at Prague Castle from down below. Built on the site of the original rotunda, it was the main castle church beginning in the 11th century. Relics of Bohemia’s patron saints were kept here including St. Vitus, St. Wenceslas and St. Adalbert. As with most of the rest of Prague, the Castle area flourished under King and later Emperor Charles IV in the middle of the 14th century. This was when it first became an imperial residence as the seat of the ruler of the Holy Roman Empire. The royal palace was magnificently rebuilt and the fortifications strengthened. 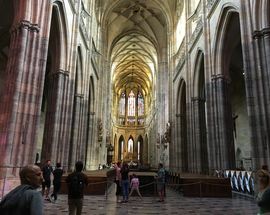 Building began on the Gothic church of St. Vitus, modelled after French cathedrals. 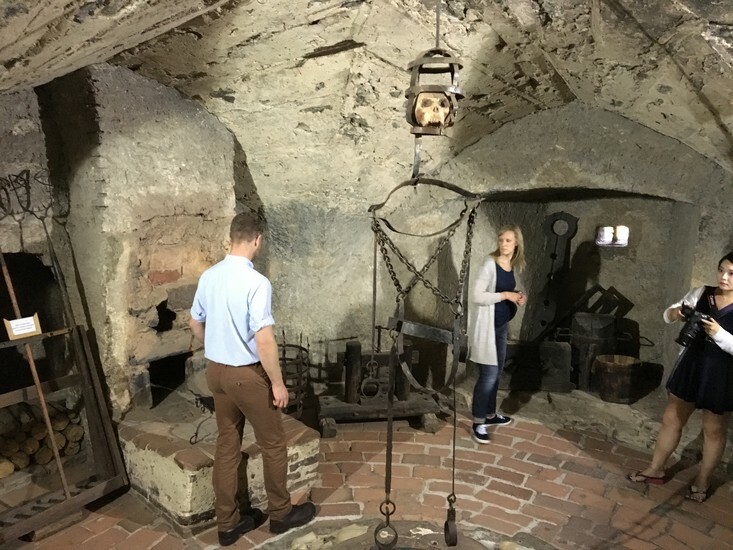 Although the Castle’s prosperity continued during the reign of Charles's son, Wenceslas IV, the Hussite wars in the 15th century saw the Castle go uninhabited with its buildings and fortifications falling into disrepair. Towards the end of the century, new rule brought a revamping of the Castle with the Powder Tower, New White Tower and Daliborka built on the property’s northern side. This is also when the royal palace was rebuilt and the fabulous Vladislav Hall added. When the Habsburgs moved in, they brought a renaissance flair to the place. Garden lovers, this is when the Royal Garden was designed and along with the Summer Palace, the Ball Game Hall, a shooting range and the Lion's Court. After Charles IV, Rudolph II was probably the Castle’s most influential resident. During his rule in the second half of the 16th century, the emperor settled permanently here and began to turn it into a grand centre of his empire. He is responsible for the northern wing of the palace (today home to the Spanish Hall), built specifically for his artistic and scientific collections. 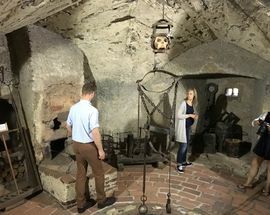 The last great rebuilding of the Castle was carried out in the second half of the 18th century, however by that time Prague had lost its European dominance to Vienna and was a pretty insubstantial town. 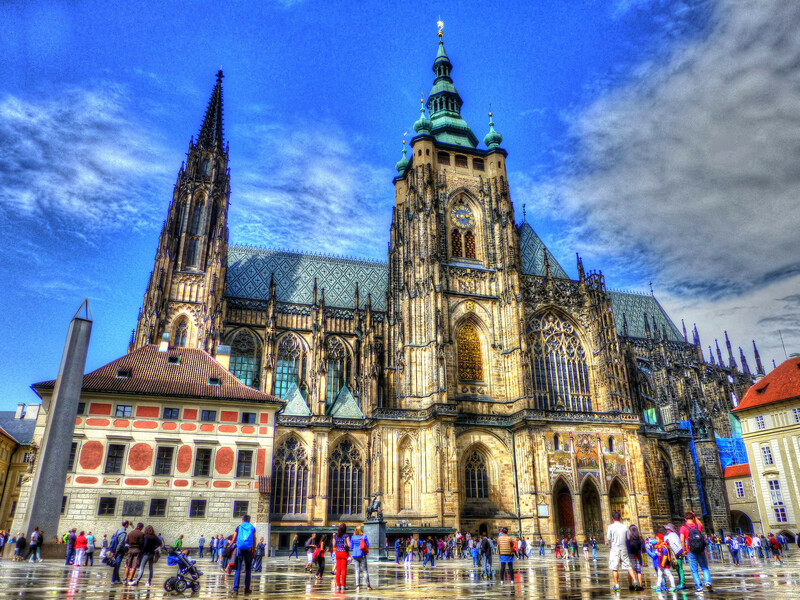 Emperor Ferdinand V chose Prague Castle as his home in 1848 and had the Chapel of the Holy Cross rebuilt. The Spanish Hall and the Rudolph Gallery also got a makeover. 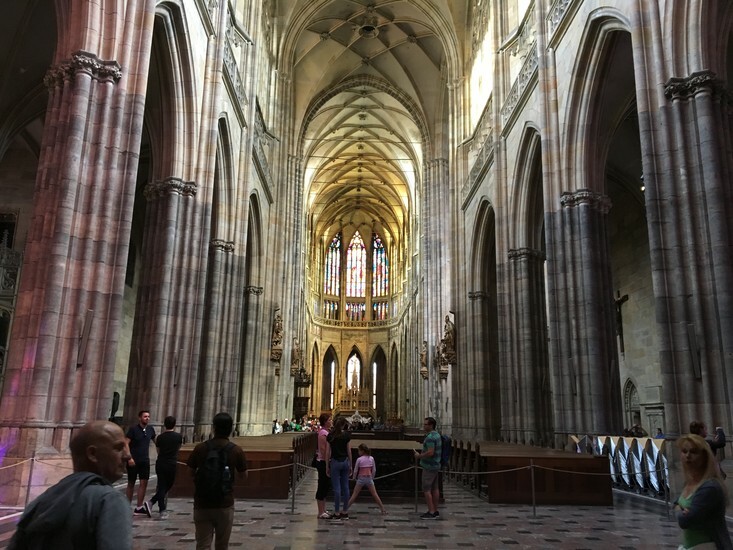 There were also calls to finally finish St. Vitus, not by Ferdinand though but by the patriotic Union for Completing the Cathedral of St. Vitus. Despite their efforts, the Cathedral wasn’t completed until 1929. 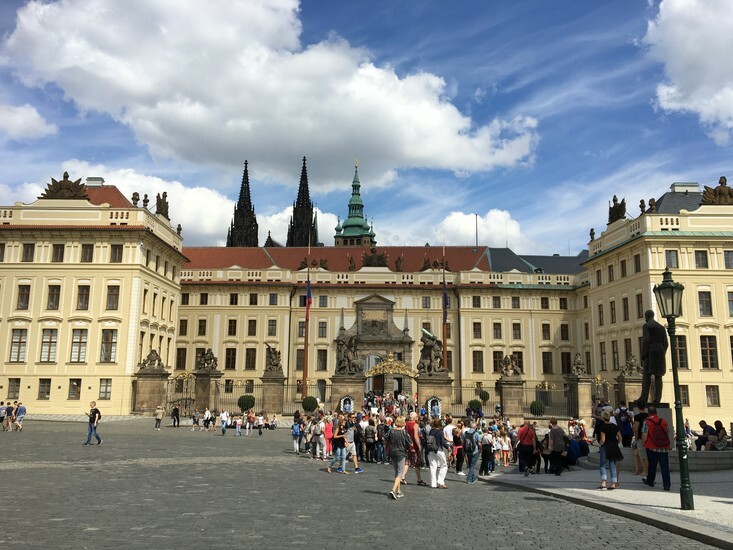 After the declaration of an independent Czechoslovak Republic in 1918, Prague Castle again became the seat of the head of state. Under communism, many of the palaces were closed to the public, operating as various government institutions. This changed after 1989. Still today, Prague Castle is of great importance to the city and country as a whole. The Crown Jewels are kept here, as are the relics of Bohemian kings, Christian relics, art treasures and historical documents. 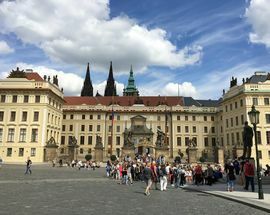 At the same time, significant events of national importance are still held at Prague Castle. The complex is truly a bridge from the past to the present. Prague Castle, tel. (+420) 224 372 423, www.hrad.cz/en. Open from 06:00-22:00 everyday but the historical buildings only from 09:00-17:00 (09:00-16:00 Nov-Mar).